STAR DECK is Back at Camp Howard!!! 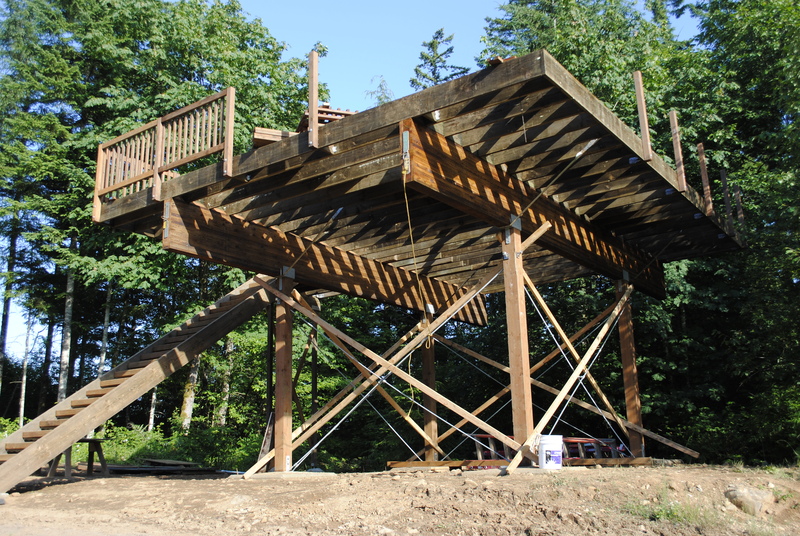 Star Deck tower at Camp Howard is rebuilt July 2013 by Schommer and Sons Construction Company. Pictured here is the nearly complete tower with side rails being added around the top of the platform and down the stairs. The STAR DECK has always been a popular feature at Camp Howard with campers. It was built in 1985 by the Knights of Columbus from Gresham. After several years of service the tower had to be removed for safety purposes. Sr. Krista talked to Schommer and Sons about a redesign of the tower moving the stairs to the side which would give the tower a full unobstructed floor. The tower was redesigned and rebuilt this spring. Special thanks to Craig Schommer, Steve Schommer and the construction crew at Schommer and Sons.